Update: Since the publication of this article, ROBOCOPP has been absorbed into personal safety device company BASU. Although Marshall University provides an on-campus police force and multiple safety resources, students are beginning to protect themselves from potential attackers with personal safety devices. Personal safety devices are growing in popularity, especially on college campuses. The market comprises of a wide range of products, including pepper spray, safety alarms and mobile apps. 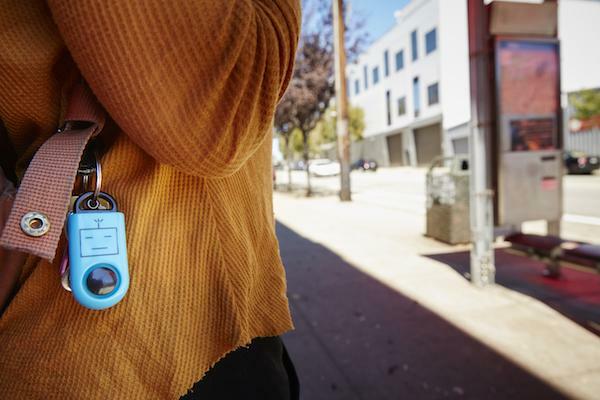 SafeTrek is one personal safety app that allows users to place their thumb on a button and “hold until safe.” When released, the app will contact the police with the location unless a four-digit pin is entered. According to SafeTrek’s website, the app “was developed by college students, for college students” in order to allow users to protect themselves. ROBOCOPP invented a personal safety device, called the “Sound Grenade,” about the size of a USB drive that sounds an alarm when the pin is pulled. These handheld devices act as an immediate deterrent by releasing a noise at 120 decibels. There are downfalls to many of the products, however. Pepper spray or knives have the potential to be taken and used against the victim, mobile apps rely on the phone’s battery or access to data and all the devices can be unreachable in a time of need when put away in a bag or pocket. These devices and apps allow for students to take action into their own hands and control their own personal safety, while also helping the police prevent crime.